The southern Belgian province of Wallonia is the latest region to introduce a separate target for re-use of waste electrical items following a pioneering move by Spain in 2015. The Walloon Government Decree requires 2 % of waste electric and electronic equipment (WEEE) to be ‘prepared for re-use’ annually from January 2020. The target covers six categories of waste appliances, making it wider in scope than the Spanish measures. This Belgian initiative came as the European Commission published its feasibility study on setting a separate preparing for re-use target for WEEE for the whole EU. In the report countries with national targets are acknowledged to be more likely to increase preparing for re-use and promote access to WEEE for re-use centres as required by the current WEEE directive. The publication of a report on feasibility of separate re-use targets was a requirement of the Directive 2012/19/EU on WEEE. Although the Commission is committed to promote knowledge exchange to identify good practices in countries with a target in place, setting an EU-wide target was not considered appropriate at the moment. A lack of representative data on potential amounts of WEEE to be prepared for re-use and concerns about economic feasibility of changes in logistics and collection are among the barriers, according to the Commission. RREUSE strongly disagrees with the Commission assessment and considers that separate re-use targets are necessary in order to reduce the huge volumes of working electrical goods currently sent for recycling. 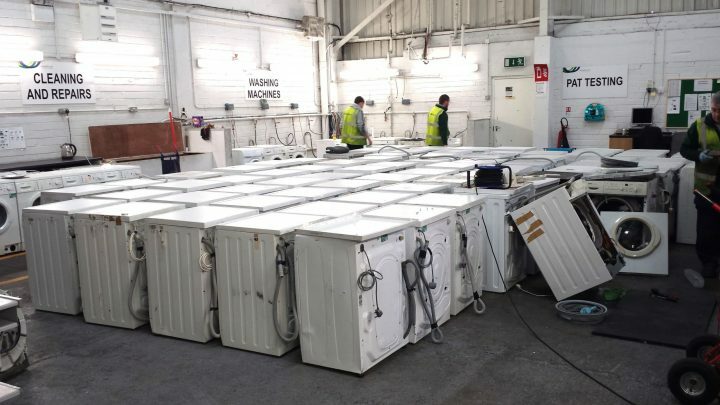 A preparing for re-use target away from recycling is crucial for the sector to overcome one of the biggest obstacles for the preparing for re-use operators which is a limited access to re-usable items. Setting a target separate from recycling would stimulate cooperation of municipalities, collection schemes, retailers and other actors with preparing for re-use operators which is necessary for accessing the waste stream and sourcing re-usable items. The target would also give an incentive to EU Member States to provide representative data, which are now lacking. The Austrian Waste Treatment Ordinance recently introduced wording to assure that WEEE collection, storage and transport is done in a way that allows re-usable items to be repaired and put back into service, rather than being dumped in unsuitable conditions at collection points. Discussions on targets within the European Waste Framework Directive are currently taking place as part of work on the Circular Economy Package. The European Parliament has made an ambitious proposal backing up a separate preparing for re-use target which contrasts with the conclusion of the Commission.